The Square Kilometre Array (SKA) is an international project to build the world's largest and most sensitive radio telescope. 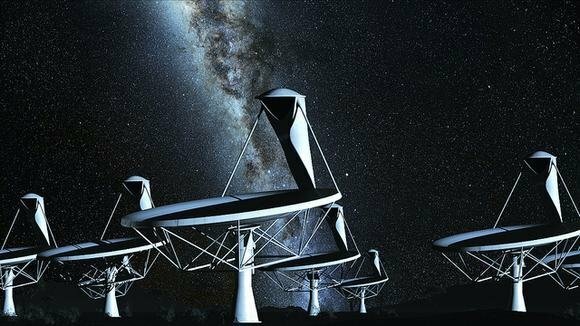 When completed in 2024, SKA will generate 10 exabytes of data every day – that's about 10 petabytes every second, roughly double the current levels of global internet traffic, according to IBM. Processing and storing that much data, in near real time, will require technologies that do not exist today – so-called exascale computing - with processing power estimated at 2.5 exaflops. One exaflop is 1,000,000,000,000,000,000 (1018) floating point operations per second. The amount of energy required to power such processing based on today's chip designs would rapidly drain Switzerland's national grid of electricity. The computers that support SKA will use radical new designs for processors and storage technology.